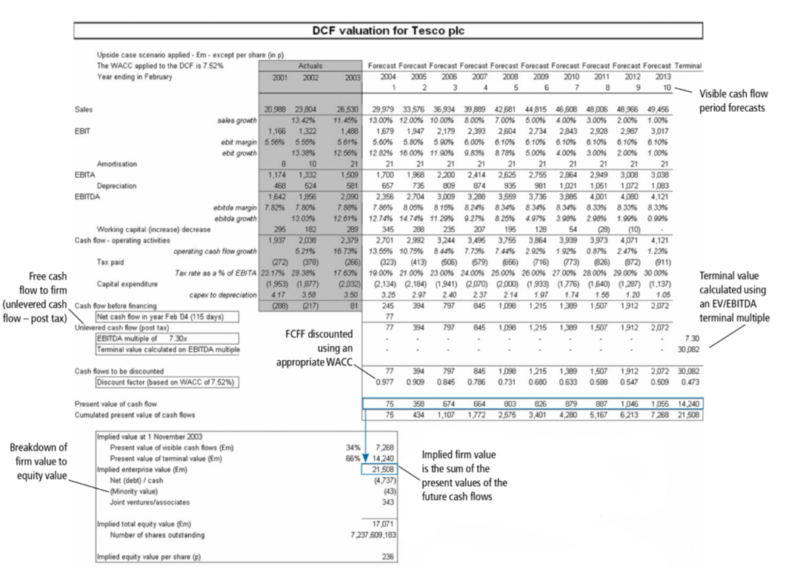 This guide will break down the steps required to perform a DCF with terminal value calculation. This guide is an excerpt from CFI’s free Investment Banking Training ManualInvestment Banking ManualCFI's Investment Banking book is free, available for anyone to download as a PDF. 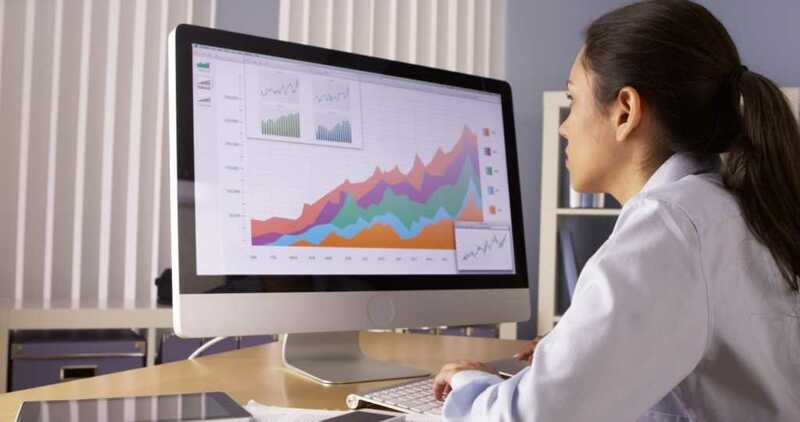 Read about accounting, valuation, financial modeling, Excel and all skills required to be an investment banking analyst. This manual is 466 pages of detailed instruction every new hire at a bank needs to know to succeed. To forecast the FCFFValuationFree valuation guides to learn the most important concepts at your own pace. These articles will teach you business valuation best practices and how to value a company using comparable company analysis, discounted cash flow (DCF) modeling, and precedent transactions, as used in investment banking, equity research, during the visible cash flow period, one needs to understand the company’s business model and key drivers of cash flow. One can forecast terminal value using the perpetuity formula or use comparable company multiples. In the end, company value = value of the future cash flows generated by the company discounted at the required rate of returnRate of ReturnThe Rate of Return (ROR) is the gain or loss of an investment over a period of time copmared to the initial cost of the investment expressed as a percentage. This guide teaches the most common formulas for calculating different types of rates of returns including total return, annualized return, ROI, ROA, ROE, IRR demanded by the investors. The following is an example of 2-step DCF analysis. Pay attention to the importance of discounting to calculate implied firm value. The firm value of £21,508 million is the present value of the FCFF generated by the company. Some 34% of this value comes from the visible cash flow period and is represented by the present value of the visible cash flows of £7,268 million. 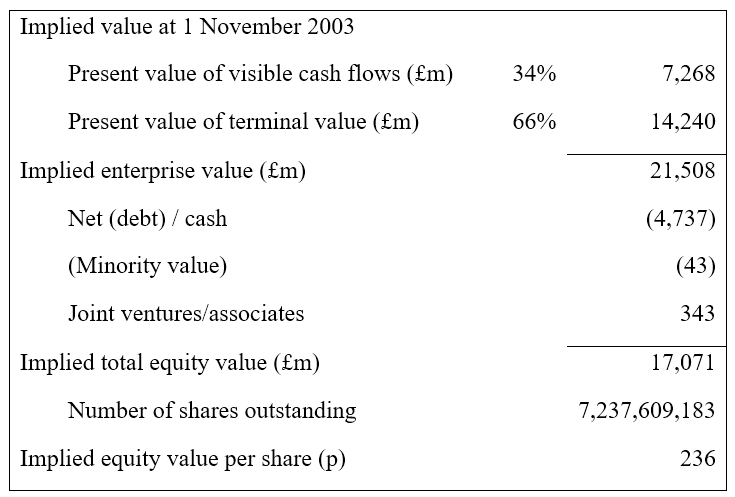 The remaining £14,240 million (66%) of the firm value is represented by the present value of the terminal value calculation. If market value is not available, the debts’ market value can be estimated by discounting the cash flows at the current refinancing rate (similar to valuing a bond). Market value information can be found for traded debt in the annual report in some jurisdictions. Firm value is measured at the market value of all its components. Minorities are a part of the firm value and are valued at market value; otherwise, they are included at book value. If the subsidiary, where the minority interest arises, is quoted, the market value of the minority can be derived; unquoted minorities will need to be valued on a separate basis (using DCF or comps). Due to the accounting rules for the inclusion of joint ventures and associates in the group accounts, the cash flows of these entities are ignored in FCFF valuation. Equity shareholders can exercise an ownership claim on joint ventures and associates. FCFF valuation does not include cash flows generated by joint ventures and associates, as FCFF drives cash flow from the financial information above the EBIT line. As for minority interests, a market value adjustment (usually an addition) to equity value is preferred to calculate the implied equity value. If the value is a material and significant part of the valuation, market value should be used. Firm value needs to be adjusted to account for the pension deficit as these pensions are like “debt type” funding. The unfunded deficit liability is deducted when establishing the warranted equity value of the firm. The post-tax, unfunded pension liability should be deducted, as ultimately the payments will save corporate tax at the normal rate. This deficit will eventually be funded in the same ratio of debt to equity as is currently used in the WACC formula and therefore does not need to be adjusted by WACC. 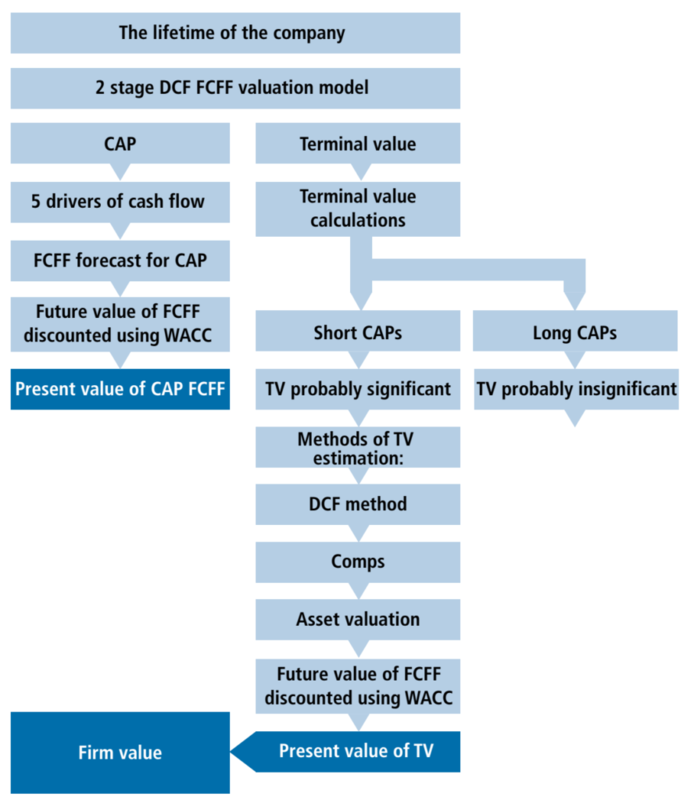 Note that FCFF valuation is the most commonly used method for valuation purposes. Further, once FCFF is understood properly, FCFE is just an additional step. FCFF discounts unlevered (cash a business has before it has met its financial obligations) cash flow at the weighted average cost of capital while FCFE discounts levered (cash a business has after it has met its financial obligations) free cash flow at the cost of equity. Read CFI’s guide comparing FCFE and FCFFThe Ultimate Cash Flow Guide (EBITDA, CF, FCF, FCFE, FCFF)This is the ultimate Cash Flow Guide to understand the differences between EBITDA, Cash Flow from Operations (CF), Free Cash Flow (FCF), Unlevered Free Cash Flow or Free Cash Flow to Firm (FCFF). Learn the formula to calculate each and derive them from an income statement, balance sheet or statement of cash flows.